Downtown Fort Worth – Airport Shuttle service –The “Airporter” provides shuttle service to and from Dallas/DFW Airport and Fort Worth Downtown. One can board the shuttle at almost all major Downtown Fort Worth hotels as well as the Airporter parking lot. The hotels not connected can be serviced on demand with advance reservation by calling 817 267 5150. At Dallas / DFW airport, the Airporter shuttle boarding area is located on the upper level of each terminal. Shuttle services are available to and from DFW airport to Dallas-Fort Worth Metroplex including areas like Arlington,Bedford,Euless and Hurst. Airport transfers between DFW and love field airport are also available. 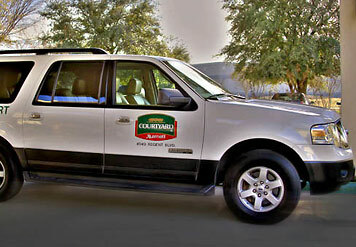 Numerous hotels in the Dallas-Fort Worth area provide courtesy car services from the airport. Information regarding these pick-ups are located near baggage claims areas inside all airport terminals. The information boards here provide the details and using the courtesy phones one can dial the requisite number indicated on the board for each hotel/motel to arrange for the pick-up. The pick-up area is located at the lower level of each of the terminals. Apart from these modes of transport one also has the option of Limousines and charter buses to get to Dallas / DFW Airport. 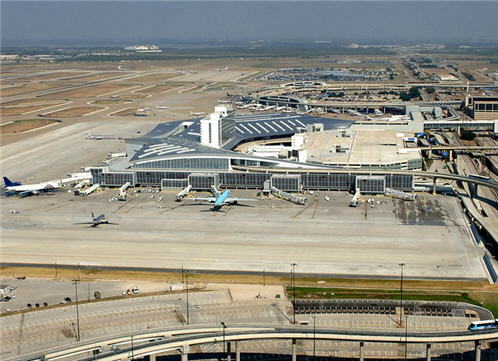 Other modes of ground transportation at DFW Airport include Taxi/Cab Services, TRE/DART Train & Bus service. The airport also has ample parking facilities.